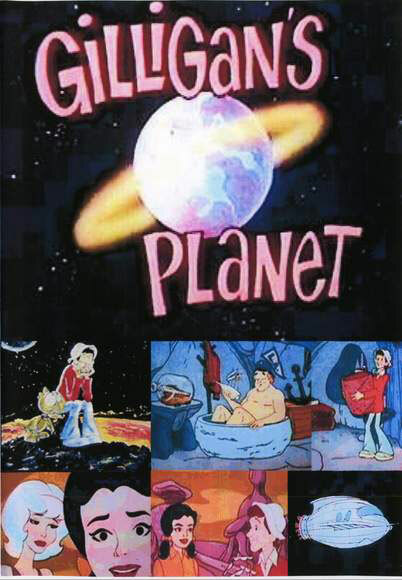 Gilligan's Planet was a Saturday morning cartoon show that aired on CBS from 1982 to 1984. It was cancelled not because of poor ratings but because Filmation (the company that produced it) ran out of business. It was also Filmation's last network cartoon series, starting in 1983, they focused on syndication with He-Man, She-Ra, Filmation's Ghostbusters & Marshall Bravestarr. Gilligan's Planet still remains a fondly remembered cartoon classic, just like it's two originals. 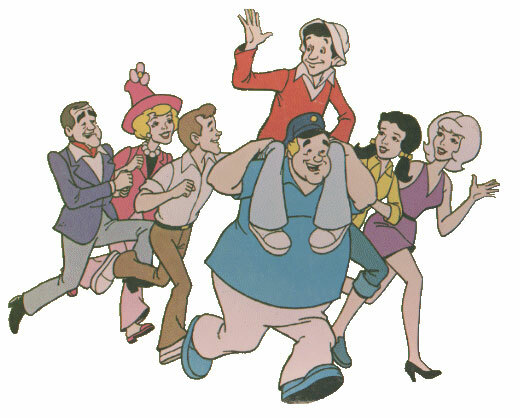 Gilligan, the bumbling, accident-prone crewman of the S.S. Minnow. Charles Maxwell was the uncredited voice of the "Radio Announcer", whose plot-advancing radio bulletins were eagerly tuned in to by the castaways in many episodes, who would often pause between blurbs long enough for the characters to speak while reacting to what was reported, sometimes even following with immediate coincidental responses to their comments. The mate was a mighty sailing man, The skipper brave & sure.